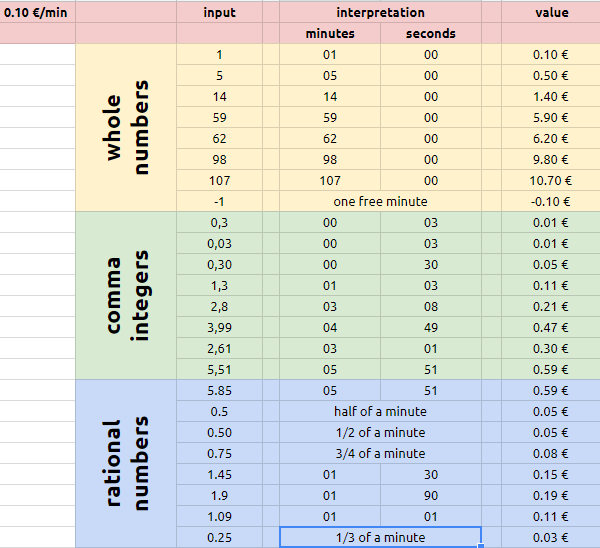 In Google Sheets, what is the correct formula for calculating the monetary value of each elapsed time? First, you need to decide how you enter your duration values. Remember, 1,30 minutes is not the same as 1 minute and 30 seconds - it is 1 minute and 18 seconds, since a minute is 60 seconds. 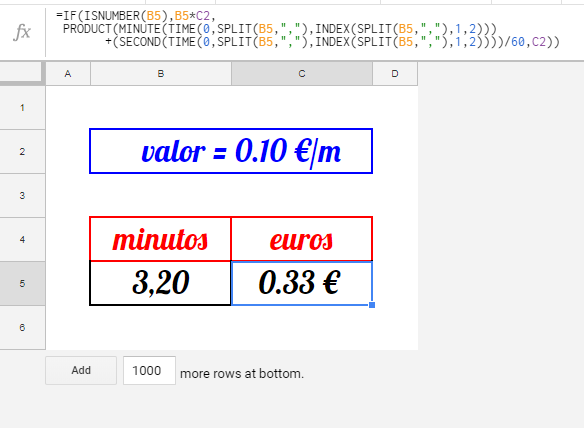 ... which should display as €0.15. See the example spreadsheet I have set up. Note: Instead of parsing a minutes,seconds string with regex, you might have some luck experimenting with Format → Number → More formats, and using the Elapsed minutes/Elapsed seconds placeholders, but the feature seems buggy and non-obvious. How can I have column E copy its data into the right column based on the initials in column M?